Join the Institute for Family-Owned Business (IFOB)’s Women in Family Business for this important program. Michael Mercer is a Crime Prevention expert and a retired police officer. He will teach our members about civilian safety awareness by providing a civilian safety plan. Attendees will learn how to identify and avoid dangerous encounters, discourage attacker, use verbal commands for self-defense techniques, and escape an attacker. The program includes the class and 1 can of pepper spray along with social networking time. SABRE pepper sprays have been “Making Grown Men Cry Since 1975” and are used by law enforcement agencies worldwide including most Federal, State, and Local police agencies. Spread the news about this event by downloading our flyer here, and send it around to friends and co-workers! NEXT GENERATION: Executive - Next Generation members who are working at the top management levels within their company i.e. Vice President, President, CEO, CFO levels. What are Peer Advisory Groups? 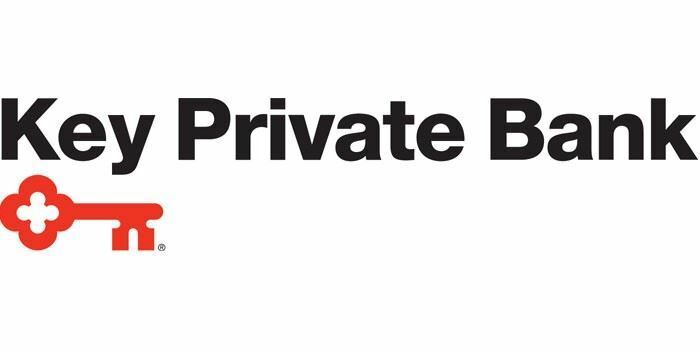 Peer advisory groups are small, confidential discussion groups of about 8-10 members that meet regularly and are facilitated by Janet Cole Cross of Cole Cross Connections, LLC. The group allows individuals to share experiences and learn from each other in a safe and open environment. These groups are for those actively working in a family business or who are interested in joining the family business, are IFOB members and in non-competing businesses. Ideally, only one member of a family will be in each peer group. Members self-direct their topics exploring family business subjects of mutual interest, provide accountability and feedback, define issues of importance for each member, and discuss what to do (and not to do) in day-to-day interactions among family, owners, employees, and board members in order to make family leadership a competitive advantage. Relevant topics developed by the groups might be around relationships and negotiation with siblings and/or cousins and parents, facing obstacles such as gaining respect of company employees, and deciding what career path is a good match for their skills. Other topics could include long term goals and weighing the pluses and minuses of working in the family business. All discussions are held in the strictest confidence and a confidentially agreement is signed at the start of each year. Cost to participate is $375 per person. The group will meet six times a year and have one open program for all IFOB members. NEXT GENERATION: Senior - This group is made up of Next Generation members who are working at the mid-management responsibility level in their company i.e. department managers / area managers. Join us at our spring Family Business Spotlight: Business After Hours featuring IFOB member Pemberton & Associates on May 20, 2019 from 5:00 - 7:00 p.m.
Pemberton & Associates celebrates 25 years this year and delivers high impact talent solutions to many of New England’s best employers. Human capital is the most critical factor in organizational success and the return (ROI) on top performers increases exponentially with time. They collaborate with their clients to recruit, develop and retain exceptional people. P&A is a vertically integrated consulting firm centered on talent with quality and value in mind. 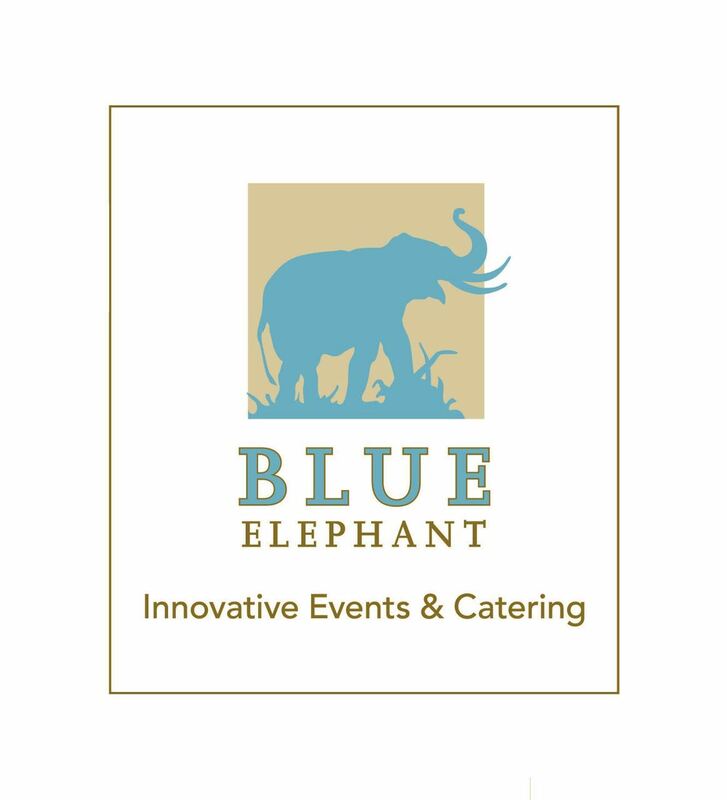 This event will be catered by Blue Elephant Events Innovative Events & Catering. Business round table discussion with fellow CEO's. Cost: $60 per session or $240 for the season pass that includes all four meetings. 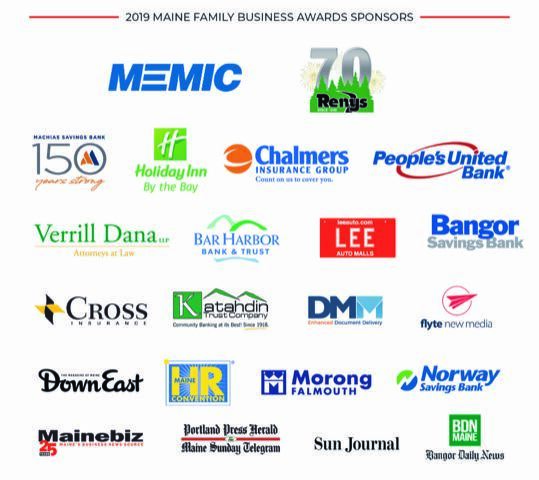 Join the Institute for Family-Owned Business (IFOB) for the 2019 Maine Family Business Awards. Hosted by Cindy Williams, News Center Maine anchor, with Shawn Gorman, Executive Chairman of L.L.Bean, as the keynote speaker. Now in its 20th year of recognizing family businesses with the awards, we present them in partnership with MEMIC. Shawn Gorman executive chairman of L.L. Bean will be the keynote speaker. 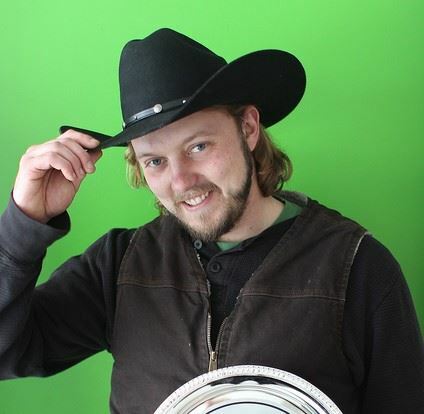 Shawn Gorman, great-grandson of company founder L.L. Bean, was appointed Chairman of the Board of L.L.Bean in May of 2013, and was named Executive Chairman in 2016. 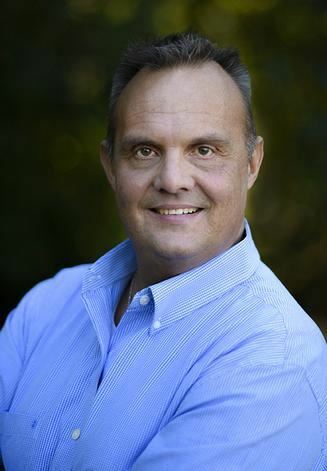 Shawn’s L.L.Bean career began in 1991, when he joined the company’s marketing department as an analyst. He went on to hold a number of leadership positions in Marketing, International, E-Commerce, Partnership Marketing and Creative. 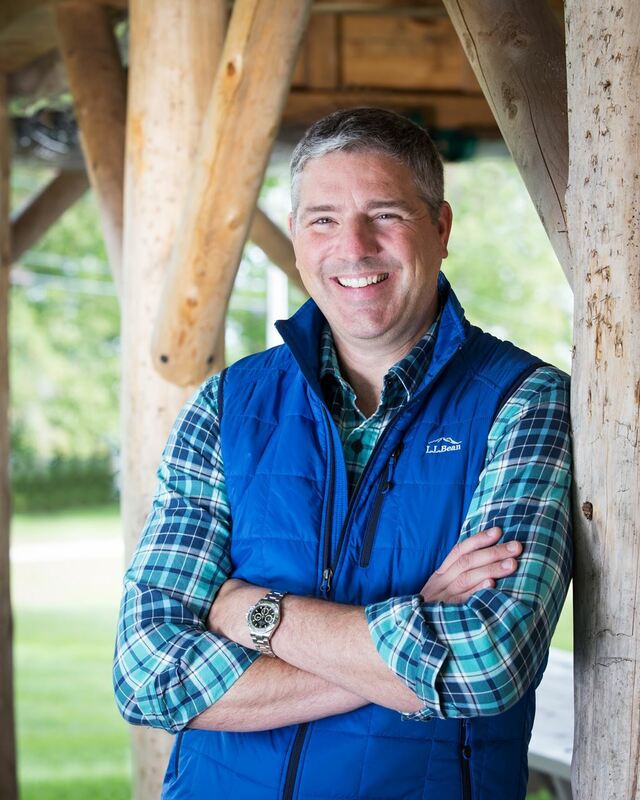 His accomplishments include introducing the company to online and email marketing, integrating L.L.Bean’s brand strategies across channels and leading L.L.Bean’s cobranded credit card program – one of the most successful in the country. Since its inception, 89 businesses have been recognized for various categories of excellence. Last year we had a record 186 nominations, 39 semi-finalists, 24 finalists and announced the 7 winners live at the awards show! The gala attracts family businesses large and small with an audience of over 400. The Maine Family Business Awards is a celebration that pays more than just recognition; it serves as a vehicle for networking and opening up all shades of possibilities for families seeking to grow their business. *We do not issue printed tickets. Please check in at the registration desk upon arrival to receive your name tag(s). Attendees will receive a discounted rate for a single or double room at the Holiday Inn By The Bay. To receive that rate, you should mention that you are attending the IFOB event. Register at MECPA site. Click here to register with them. Please NOTE if you want to attend BOTH sessions, you must register once with the IFOB and then with the MECPA. You can come to either program or both. 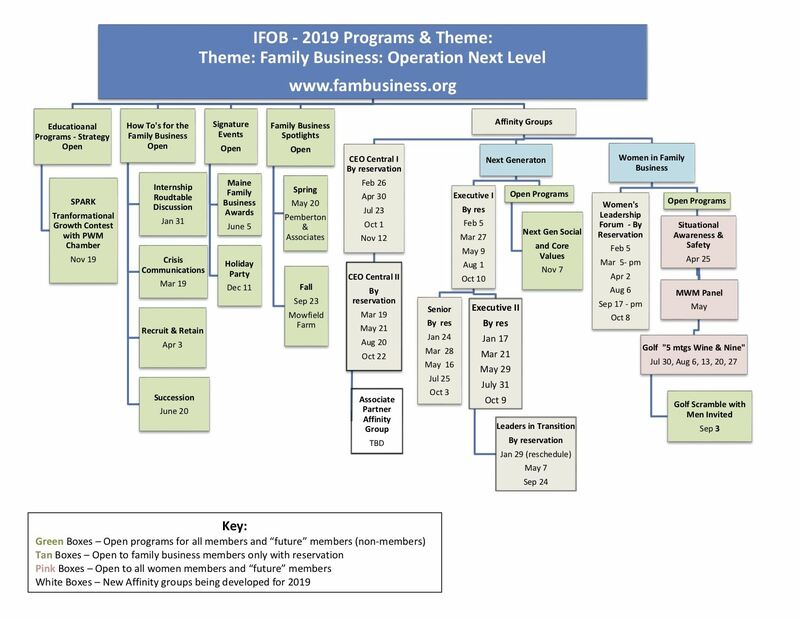 As the third installment in a three-part series on “How To's for Family Business”, this workshop will fall under this year’s theme at the Institute For Family-Owned Business (IFOB): Operation Next Level & How To's for Family Business. This program will be a comprehensive discussion of how to effectivly lead and manage transitions in a family business. Thursday, June 20 - Part I: from 8-10:30 a.m.
Janice DiPietro will lead a panel of three family-owned businesses in a discussion on succession planning. Currently confirmed panelists include Nick Doudoumopoulos from Jasper Wyman & Son of Millbridge, ME, who represents the fourth generation of this business and Susan Ware Page from Maritime Energy of Rockland, ME who represents the third generation. We’ll learn about the family’s leadership journeys and tailor the program to all aspects of succession. Janice will open the panel by having the audience share stories and challenges /success they may have faced during a transitional period. She will then lead a discussion on leadership strategies, transitional topics, how multi-generational businesses can be set-up to make sure the wealth doesn’t vanish, and whether family-owned businesses should seek talent within the firm or outside the family during a transition. The panel will end with a Q&A session. Thursday, June 20- Part II: from 11 a.m. - 2:00 p.m.
After a short break, the discussion will turn to Part II in cooperation with MECPA, the state’s premier professional association for current and aspiring CPAs in business, education, government and public accounting and who seeks to provide its members with services and benefits which strengthen their practices and enhance their experience in the accounting profession. 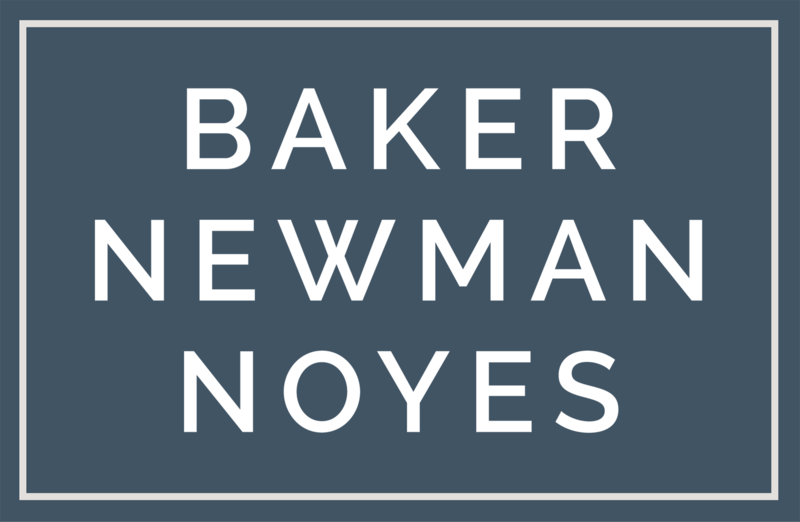 The focus of this panel will be on buying, selling and other options for exiting a business. Panelists include Seth Webber, Principal, BerryDunn; Tim Benoit, Attorney, Perkins Thompson; Moya Elliott, Senior VP and Senior Relationship Manager, People’s United Advisors, and Patricia Camelio, Senior Vice President and Commercial Leader,People’s United Bank. The panel will end with a Q&A session. Price: $30 IFOB and MECPA Members (remote or in person) includes lunch. Must be booked with MECPA for the Part II section. We would end with a Q&A session. Remote access is available to dial in. You must have hi-speed Internet access to dial-in to the forum remotely. If you are dialing in to the workshop you must pre-register so we can send you the remote instructions. Business round table discussion with fellow CEO's. This is the 3rd of 5 meetings for the CEO Central I Group. HURRY WE SOLD OUT LAST YEAR with 40 at full capacity! Join us for 6 sessions starting July 30..
with the final 1 as a scramble with men! TIME: Every Tuesday for seven weeks straight from 5:00-7:00 P.M. This customized series for the IFOB includes seven (7) sessions of instruction and golf with twelve (12) total hours of instruction and golf, greens fees & cart fees, and complimentary beverage (wine or beer) after golf. The final session will be a Golf Scramble with Men! Back by popular demand, we'll be led by Matt Gaynor and Nonesuch's PGA professional, Jim Fairbanks. Did you know, the PGA of America comprises 27,000 men and women professionals with one singular goal in mind - to make the game of golf more enjoyable for you? We’ll break into small groups based on your ability from beginner to expert and work on techniques to hone your skill at whatever level. If you have clubs, please bring them, if not, we will have plenty to choose from. Afterwards there will be plenty of time for networking and refreshments. The goal of this program is to offer instruction, golf and understanding of the game in a fun and social environment. One-on-one instruction will be available both on the golf course and driving range and will be set up to meet the specific needs of all individuals. The 203-acre facility in Southern Maine features a meticulously maintained 18-hole public championship golf course, a modern 2,500 square-foot clubhouse, a full-size practice range and two putting greens, as well as a golf academy with professional PGA Instruction. Their staff is experienced, friendly, and professional. The club’s namesake, The Nonesuch River, runs directly through the golf course property, creating “wetland areas” which support a variety of plant and animal species. During the design and construction process, they were careful to maintain valuable wildlife habitat important to local moose, wild turkey, fox and deer populations. They worked closely with state and local officials to limit our environmental impact on the beautiful forest and river area. Their maintenance philosophy is to continue to provide an ongoing, thriving wildlife habitat throughout the wetlands and forested areas. Nonesuch is unique in that there is no development on the golf course except for the clubhouse and golf-related amenities. It is truly a golf course situated in its natural environment. Includes golf clubs, carts, lessons, a drink and more! FMI: contact Catherine Wygant Fossett at 207-798-2667. Social for Executive I PAG only, location TBD. Our goal for this forum is to have women who lead family businesses to have a chance to meet four times a year to be filled with inspiration, encouragement and friendship…oh, and of course a great meal. Understanding that we are all very busy women and our time is precious, we work to provide a program that is valuable for you as a leader and also as a woman. We hope to offer not only solid information that will help give you an edge in the workplace, but also be a safe place to share and inspire other women. Our topic for this breakfast is "Setting goals (both personally and professionally) and adding value that is measurable." This Forum is for women in top leadership roles within their family business who are members and is not open to Associate Partners. Cost: $35 for the breakfast and discussion. Registration is required. To register, contact Catherine Wygant Fossett at 207-798-2667 or catherine@fambusiness.org. Women in Family Business Golf Scramble with Men! Wine & Nine Golf Scramble with Men! We are inviting men to participate in a golf scramble that will mark the last session of the Wine & Nine Golf Series! New in 2018 we had over 80 participants, in 2019 we will be taking over all 18 holes to welcome even more people! 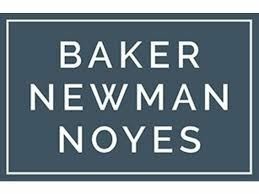 The nine-hole golf scramble, sponsored by Baker Newman Noyes, will take place from 3:00 p.m. to 7:00 p.m. at Nonesuch River Golf Club. Following the completion of play, there will be a barbecue sponsored by Old Port Advisors and Gorham Savings Bank from 7:00 p.m. to 8:00 p.m. in the clubhouse. The barbecue will include hamburgers, veggie burgers, hot dogs, BBQ chicken, potato salad, cookies, and a cash bar. There will also be opportunities to win fun prizes! Cost: $45 for the evening social. Registration is required. To register, contact Catherine Wygant Fossett at 207-798-2667 or catherine@fambusiness.org. Join us at our fall Family Business Spotlight: Business After Hours featuring IFOB member Mowfield Farm on September 23, 2019 from 5:00 - 7:00 p.m. By joining attendees will also receive free tickets to the 147th Cumberland County Fair. Tucked away in lovely Cumberland, Maine, Mowfield Farm is an idyllic countryside retreat just 12 miles from downtown Portland. 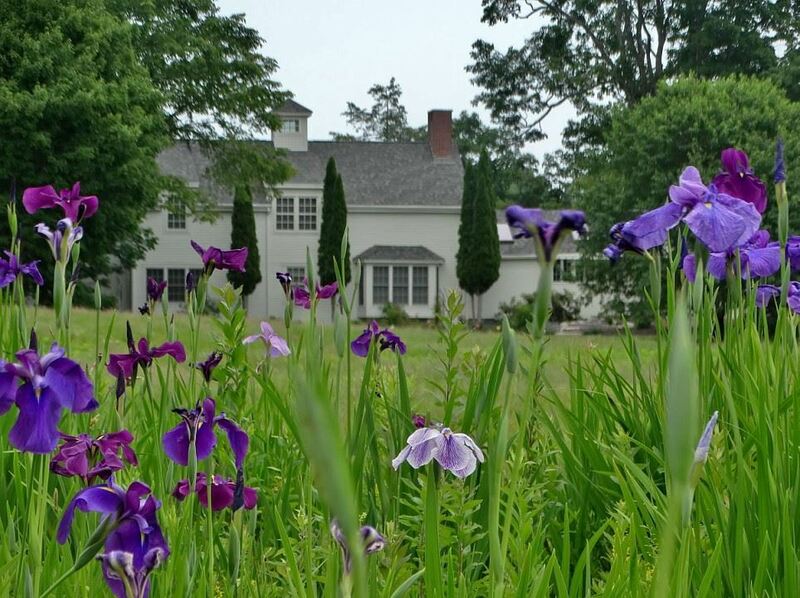 The lovely, historic property offers a graceful and wonderfully private setting for weddings and other special gatherings. Gardens, fields and woodland paths beckon guests to explore. Stone patios surrounding the genteel restored farmhouse pull them back, and leave lasting impressions. Business round table discussion with fellow CEO's. This is the 4th of 5 meetings for the CEO Central I Group. Join a panel of Next Gen business leaders who will share their personal stories of success and learning experiences. They will each share 5 ideas or core values on their keys to success in business and in life. The discussion will cover everything from how to successfully run and operate a business, to effective ways to motivate and manage people. The panel will be moderated and each panelist will share their perspective of the Next Generation of business leaders who are part of the IFOB family. A fun example of a core value is “Collect don’t correct.” It will also be an opportunity for future members to learn about the Next Gen Affinity Groups and how they have helped them run their family-owned business. It will be a fun way to share insights and recruit new members for the 2020 Next Gen Peer Advisory Groups. All groups and new recruits, free for all. Register by emailing catherine@fambusiness.org or by calling 207.798.2667.
Business round table discussion with fellow CEO's. This is the 5th of 5 meetings for the CEO Central I Group. 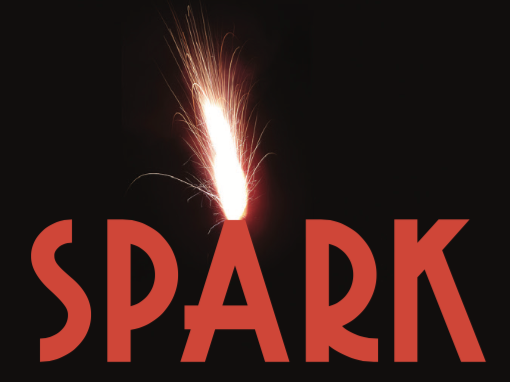 Hosted by the Institute for Family-Owned Business (IFOB), the Portland Regional Chamber of Commerce, and Mainebiz, SPARK! offers an opportunity for current and future members of the IFOB and the Chamber to learn about transformational growth ideas from Maine business leaders. Four business owners from different industries and background will each present a transformational idea that led to meaningful growth in their respective company. Each contestant will have ten minutes to showcase their idea in a format similar to "TedEx" or "Battle of the Bosses." After each contestant has had a chance to present, audience members will vote for their favorite transformational growth idea. As the votes are tabulated, the four business leaders will gather on stage for a 30-minute Q&A moderated by Steve Tenney of Family Wealth Management Partners, UBS. The winning business leader will receive a custom artistic redition trophy and a $1,000 prize to be donated to their charity of choice, and each of the runners up will receive $500 to do the same. Each contestant is thrilled with a friendly competition to donate to their charity of choice. For James, if he wins, he'll donate the winning prize, on behalf of Flowfold, to Maine Women's Fund. "Women employed full time in Maine are paid just 84 cents for every dollar paid to a man." Morin said. "That's a yearly difference of $7,650. That's groceries. That's mortgages and rent. It's childcare and tuition payments. If Maine Women's Fund is going to support changing the paradigm, then we'll support them." In the spring of 2010 Margo attended a Cumberland County Chamber of Commerce function where the attorney F. Lee Bailey was presenting about the challenges of felon employment. Frustrated that the hiring outlook was dismal for this population, she started a business that would employ only convicted felons. 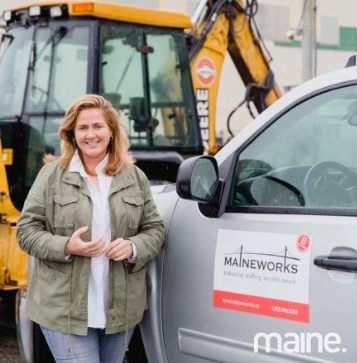 Margo started MaineWorks in 2011 with enough money, borrowed from her sisters, to cover workers’ compensation and a few weeks payroll. She developed a client base by knocking on construction site trailer doors and hired workers directly out of the county jail. Every morning Margo would drive the inmates to the worksites and then back to jail at the end of the day. At the same time she started working with sober houses and probation officers to find more potential employees, the employee base and clients grew through word of mouth. 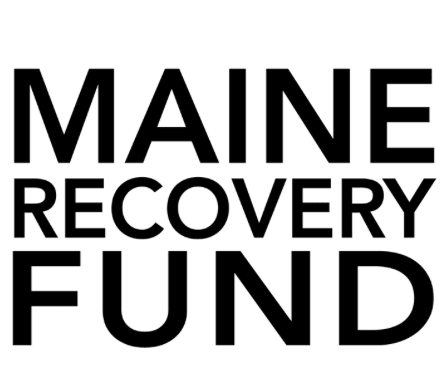 The Maine Recovery Fund received its 501(c)(3) status on May 23, 2017. Since that time, they have assembled a small professional staff and a strong Board of Directors. Maine Recovery Fund has provided: over 5,600 safe rides to work and 1,25 bus passes; over 175 warm jackets and 425 pairs of steel-toed boots as part of a “Worker Starter Kit” for those just getting to work; and over 90 crisis interventions for those in need of immediate assistance. Forty-two percent (42%) of Maine Recovery Fund clients are successful in their recovery and rebuilding their lives. 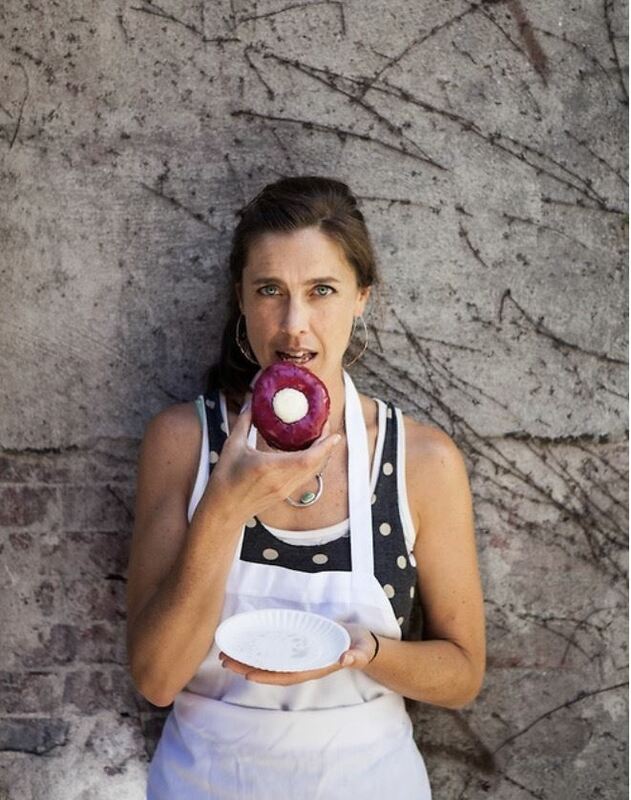 Leigh Kellis – Founder, The Holy Donut, Inc.
Leigh Kellis founded the Holy Donut in Portland, Maine. It is an old fashioned donut shop with 3 locations. The secret ingredient in Maine potato and everything is from scratch. The business was created to bring a comforting, old-world donut shop experience to Portland and to employ many. Leigh's mission is also to support community enrichment by paying her employees time-off when they help others. In Her Presenceis organized and led by immigrant women living in Maine, who strive to bring together immigrant women from across communities and generations to ensure that Maine’s economic agenda includes the aspirations and needs of immigrant women. They create spaces that support women’s empowerment and personal ambitions without losing their unique identity and connect immigrant women and girls for collective empowerment in their communities to address common challenges and issues. James Morin, a Maine native and 2010 UMaine alum, started his sales career at a fortune 500 Medical Device company. From there, he joined Putney, a Portland-based startup speciality pharmaceutical company that raised $60M in fundraising and sold for $200M in 2016. Following the acquisition, James became a co-owner of Flowfold, a company he’s been affiliated with since college. Flowfold is an American made manufacturer whose mission is to craft the most sustainable, durable, and functional gear on the planet. The Maine Women's Fund is a public foundation that transforms the lives of Maine women and girls through strategic grantmaking, community engagement and support to nonprofit organizations dedicated to social change. We believe that when Maine women and girls thrive, communities prosper. The Fund provides grants to organizations which benefit women’s education, financial skills & literacy, healthcare, leadership, personal safety and/or public policy in the State of Maine. Annual grants are made up to $10,000, and Swift Social Justice Grants are made up to $1,500. Tyler Frankstarted Garbage to Garden 6 years ago out of his apartment with $300 and an old pickup truck. Today, Garbage to Garden has 20 full-time employees working together to make it possible for over 10,000 households, businesses, and schools to compost. Before founding Garbage to Garden, Frank co-founded a web development company and worked in sales for Lee Toyota. He grew up in North Yarmouth and now lives in Windham with his girlfriend and two dogs. Maine Foodscapes Garden Project(FGP) educates and inspires individuals and families to grow their own food. They do this by providing free gardening resources to those experiencing limited income throughout Cumberland and York Counties. Garden recipients receive raised beds or container gardens, high quality soil and compost, trellising, seeds, seedlings, and a growing guide. This program is a creative approach to building food security and contributes to creating healthy and resilient communities where all people have access to good food and well-being. * You will be directed to the Portland Regional Chamber of Commerce Website as we are partnering with them for this event. Thank You to Our Stage Sponsors! The Institute for family-owned business Invites you to mingle and jingle! 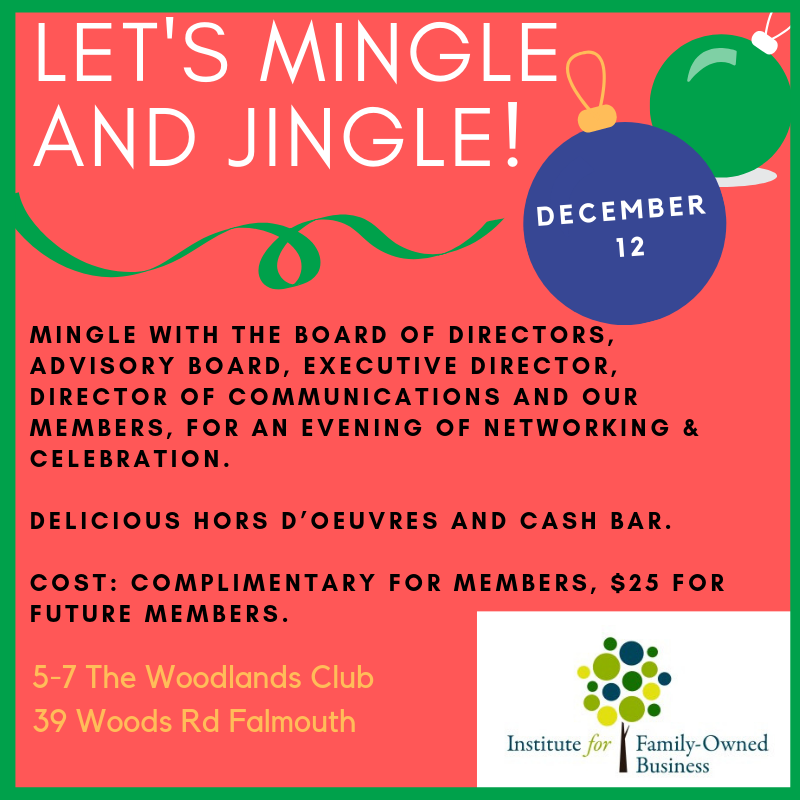 The IFOB and our family-business members have had quite a fabulous year, so come celebrate Wednesday, December 11th from 5:00 p.m. - 7:00 p.m. at The Woodlands Club in Falmouth! Please join the Board of Directors, Advisory Board, and Catherine Wygant Fossett, the Executive Director, for an evening of appreciation for your support and commitment to the Institute for Family-Owned Business. Warm up with delicious hors d’oeuvres, beverages, and a cash bar. Ring out the 2019 IFOB year with our amazing community of family businesses. We hope to see you there! Bring your spouse or a guest! The Institute for Family-Owned Business is a non-profit organization committed to supporting, strengthening and empowering family-owned businesses throughout the state of Maine. The Institute serves family business owners, executives and employees through a wide range of continuing education programs, networking opportunities and consulting services. The Institute is a comprehensive resource for family-owned business. September 04, 2018 Women in Family Business Golf Scramble with Men! April 09, 2018 Family Business Spotlight: Business After Hours - Rising Tide Brewing Co.
September 28, 2017 "10 Leadership Practices that Positively Impact Employee Motivation and Profitablity"
September 07, 2017 Women in Family Business - Affinity Group Including Men! March 16, 2017 Women in Family Business - Affinity Group Including Men! October 20, 2016 "From the sidelines, to the front line. Learning to lead." March 30, 2016 "HR for Family Business: Leadership Development for All Employees"
February 11, 2016 "HR for Family Business Part 2: Legal Update, Performance Management and Proper Terminations"
October 06, 2015 A casting call for mentors & protégés - Come join us! September 17, 2014 Governance for the Family Business - Board of Directors and Family Councils---are they necessary? September 04, 2014 Next Generation Affinity Group, "Round Table Discussion"
August 14, 2014 Family Business Summerfest! May 07, 2014 Next Generation Affinity Group, "For All Generations in Family Business"
April 24, 2014 Next Generation Affinity Group, "For All Generations in Family Business"
August 15, 2013 Family Business Summerfest! We have over 50 programs scheduled for 2019! Our programming theme is "Family- Business: Operation Next Level." With this in mind we have a number of educational programs to help elevate your business! We will also have our Affinity Groups, Family Business Spotlights, Socials and more! Our 20th Maine Family Business Awards is on Wednesday, June 5th with over 400 in attendance. Nominations open the end of January for 2019. Below is a diagram that spells out all our programs for 2019. Note: Open "Green" programs include all family business members, associate partner members and “future” members (i.e. non-members). At the Associate Partner level of membership, certain programs may be unavailable and open only to family business members (Examples: CEO Central, Women’s Leadership Forum, and Next Generation discussions.) These programs are by reservation only with Catherine Wygant Fossett, the executive director. We will update the online calendar as we progress throughout the year. Come join us!